I come from a place where on Christmas Eve people are battling extreme heat, Santa Claus wears thin silk pajamas, and Christmas day arrives with fireworks on the beach. Sounds like 4th of July in Florida, doesn’t it? Well, now that I’m thinking about it, it’s pretty much like that but with Thanksgiving meal thrown in for good measure. Today I’m in Nashville where we’re expecting a white Christmas and the days are short and cold. 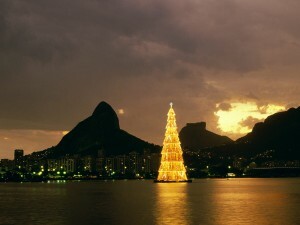 But growing up in the Southern Hemisphere in tropical Brazil, I enjoyed Christmas mostly outdoors. Pool parties and trips to the beach marked the beginning of Summer on December 21. Brazilians eat a later dinner, 11 p.m. on Christmas Eve called “ceia”–interestingly, Christmas Eve is one of the only days Brazilians exchange their beloved beef for turkey and Ham. After the big meal, Brazilians still find stamina to go out from house to house to visit friends and family, while managing to eat, drink, sing and even dance until breakfast on Christmas day. 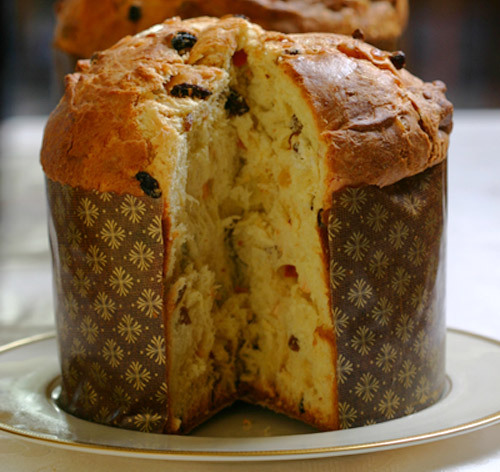 On Christmas morning, toasted Panettone with butter and strong Brazilian coffee or “cafezinho” is always served. Not matter where you are in Brazil, there are late parties going on most every home on Christmas Eve. I remember walking down the street as a teenager to the sound of samba and laughter into the wee hours of the new day. Aah, Christmas and summer are an awesome combination. It's Christmas, let's hit the beach!! What Christmas memories do you have? That's so different than Christmas in Kentucky. Haha. We went to be at 7 p.m. so we could wake up to Santa's gifts on Christmas morning. Thanks for sharing your Brazilian Christmas with us. Loved it. I miss Christmas in Rio!!! Maurilio, Brazilians are not unlike us Aussies! Nothing better than Christmas on the beach. It maybe 100 degrees and we have a hot baked lunch; mostly Roast Lamb or chicken with cooked vegetables. Then finish off with a steam plum pudding with hot custard. Oh, how I miss those days! I love the Christmas clothing,very cool. I miss those days in Brazil. Next year we might be headed to Brazil for Christmas. Reminds me of Christmas growing up in Peru. Water Mellon on the beach and watching the sun set over the pacific through a drift wood bonfire. Now I sit in cold New Brunswick, but being with my family adds a warmth the equator never could. 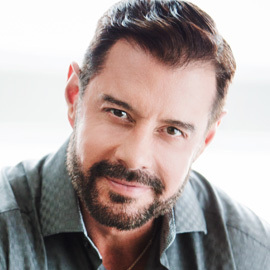 enjoyed reading this Maurilio, Merry Christmas… errr… Feliz Natal to you!! Panettone Bauducco… my Brazilian husband approves! I can appreciate the Brazilian Christmas traditions, but I do miss the sights, sounds, and smells of an American Christmas whenever we are there for Christmas. 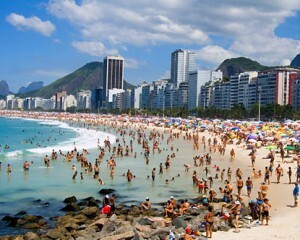 Ideally we all would be in America for Christmas and Brazil for New Year’s Eve. 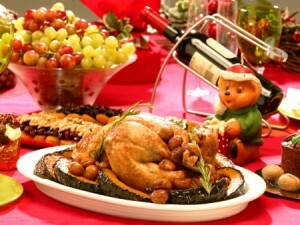 Our baning of pots and pans cannot compare to the festivities on December 31st in Brazil!